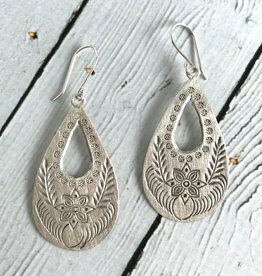 Hill Tribe Silver Stamped Double Teardrop Earrings. Made in Thailand by the Hill Tribe people. 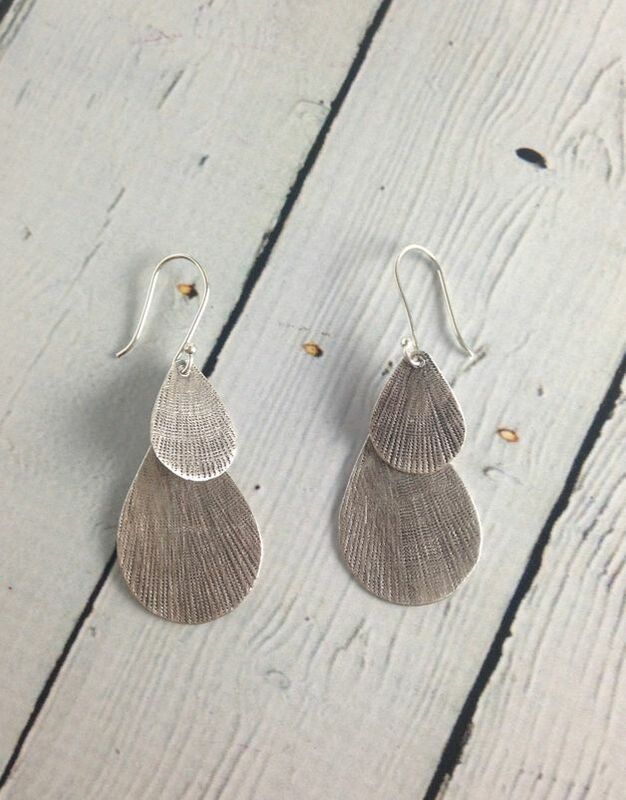 As they are handmade, each piece is unique. 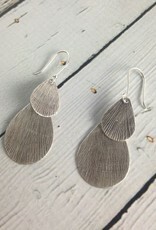 Karen Hill Tribe silver is 95-99% pure silver (Sterling is 92.5%) which makes it softer and easier to shape and stamp. 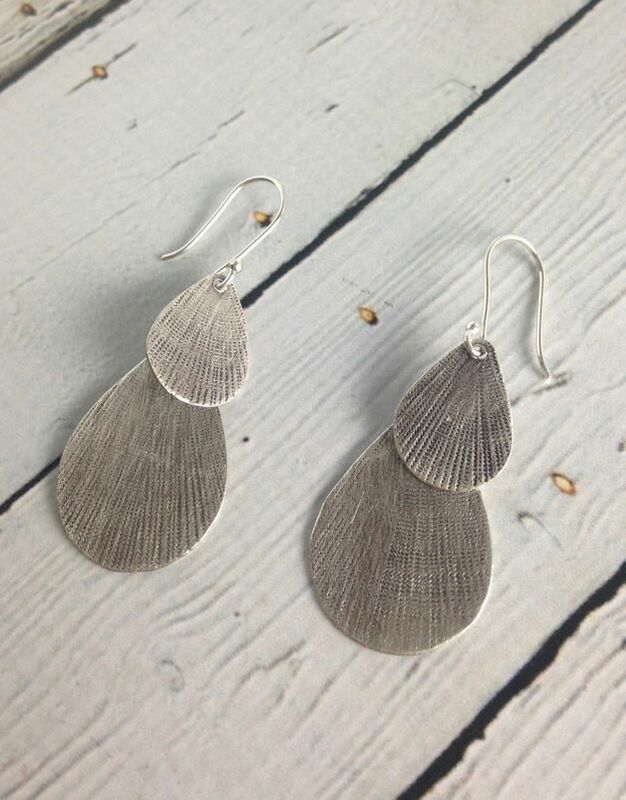 The silver is then left to oxidize, then polished on the flat surfaces, leaving the oxidization within the stamped design. 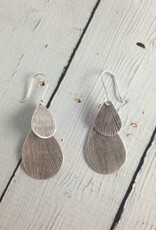 Earrings measure 2.25” long and about .75” wide. Made in Thailand by the Hill Tribe people. 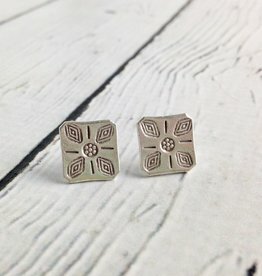 As they are handmade, each piece is unique.